Running Tally: $90.00 to charity. I had a few Mahler Eights I could have chosen from in the U.S. I ended up choosing the New York Philharmonic’s version at Avery Fisher Hall in June 2009. 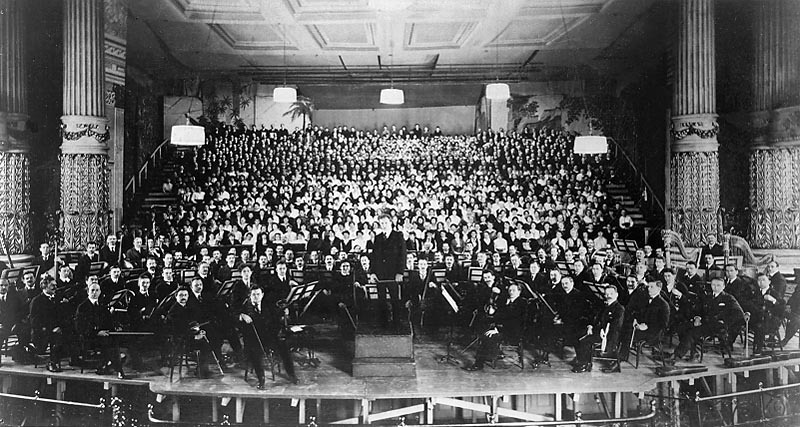 Mahler’s Eighth Symphony is also known as the Symphony of a Thousand because of the huge forces required to give it a proper airing. Larger than usual orchestra, organ, antiphonal brass, double chorus, children’s chorus, 8 soloists. The first part of the symphony is based on the hymn Veni Creator Spiritus and the second part is based on the end of Goethe’s Faust. It is a real barn burner. The first time I heard it was when I sang in the giant chorus with the Minnesota Orchestra and the Gothenberg Symphony under Neeme Jarvi. Since then I have heard it performed again in Minnesota and by the National Symphony Orchestra here in DC. The second Minnesota performance, back in the 90s was the best one by far. The NSO’s was darn good, and well, New York’s this past June was really disappointing. Conductor Lorin Maazel took the first half too slow. The chorus was not up to snuff. The hall itself has terrible acoustics. And the electronic organ sounded ridiculous. Overall it was murky and lacked the punch it should have had. The New York Phil played well in most places, but not well enough to make up for all of the other deficiencies.